Continuing to rise as one of the leading lights in the music industry, 23-year-old Dutch star Sam Feldt has fully emerged as one of the most exciting artists of recent times. Currently signed to Spinnin’ Records, Sam has released a number of successful tracks, including his smart reworking of Robin S’ ‘Show Me Love’. An enormous hit, ‘Show Me Love’ entered the UK Chart at #4 and stayed in the Top 10 for 4 weeks. It peaked #1 in Beatport’s Chillout Chart and Shazam’s Chart consecutively. ‘Show Me Love’ has now sold over 1 million downloads and amassed over 130 million streams to date. 2016 has been a spectacular year for the Dutch hitmaker. Sam released his collaborative single ‘Summer On You’ with Lucas & Steve feat. Wulf in June and dominated the charts & radio airplay in his native Holland. ‘Summer On You’ reached #7 in the NL Shazam chart and later amassed nearly 6 million Spotify Streams and received platinum status in Holland. Away from the airwaves, Sam has showcased his talents on several festival stages including Ultra Miami, Coachella & EXIT festival. 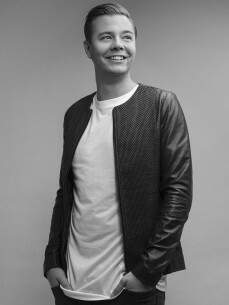 Amidst Ibiza residencies alongside Kygo, Klingande & Bakermat – he performed debut sets at Tomorrowland & played several debut shows in Asia, as part of his Asian Tour. Sam completed his highly-anticipated US Tour with fellow Dutch producer Bakermat. The ‘From Amsterdam With Love’ Tour saw the duo play spectacular shows in various cities across North America, including Los Angeles, San Francisco, Washington DC, Houston, Toronto and Vancouver to name a few.